Browsing around the internetz this morning (as that’s what Tuesday mornings are for) I came across a new company offering guided winery tours. These are a dime a dozen these days in Spain as due to most all of the manufacturing jobs being shipped out of the country, unemployment at over 26% (and growing), the only thing left to promote is tourism. So, it seems every week or so, some new fellow will pop up offering various tour packages. In this case, the one in question now offers winery tours to Priorat and “Costa Brava”. First and foremost, there is no wine region called “Costa Brava”. For those unfamiliar, Costa Brava is a stretch of beaches in the northeastern corner of Catalonia, Spain, about an hour and a half from Barcelona. That lovely, oppressive dictator Francisco Franco and his cronies developed the crap out of what was pristine wilderness starting about 60 years ago purely in the name of creating a cheap beach destination. It stretches over the Alt and Baix (upper and lower) counties of Empordà. 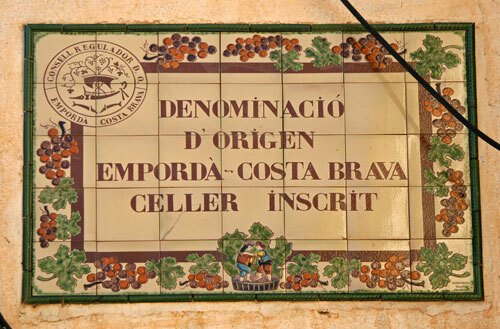 The confusion arises in that when the DO Empordà was founded in 1972, it was originally called, DO Empordà-Costa Brava. This was done solely to associate the wines with the beach in a tourism push. It didn’t really work as beach tourists only really want beach and not much else so in 2007, they changed it to only be DO Empordà. And that’s it, this is the only name. Anyone still referring to the wines Costa Brava wines is about seven years behind the times which doesn’t say a lot about their “insider knowledge” just like this article published zero days ago. Want to read up more on the whole Empordà wine region? Take a look at our comprehensive Vinologue wine guide in both paper and digital editions. Or, take a wine tour.